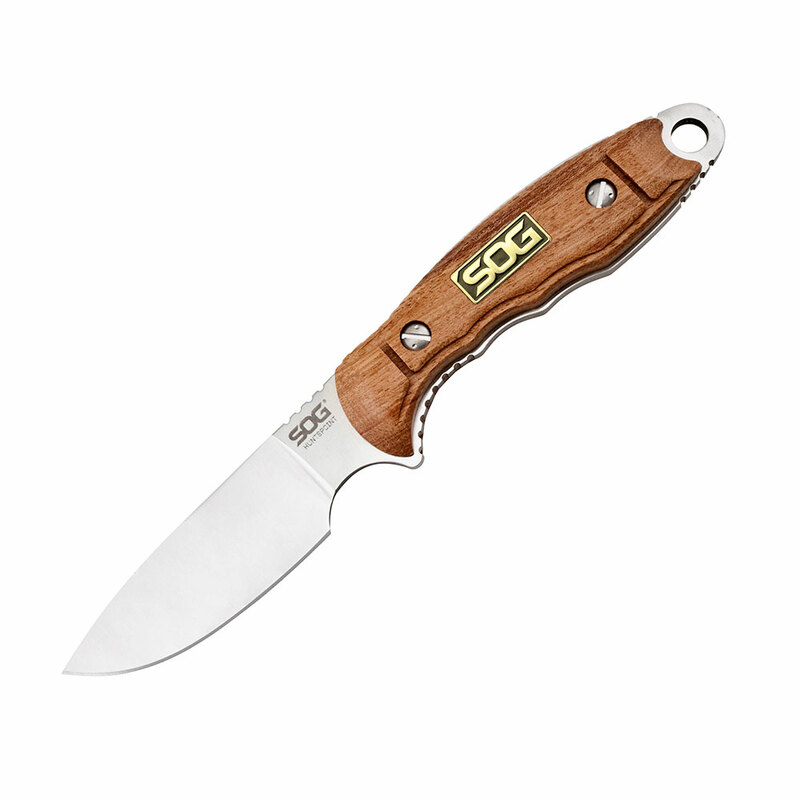 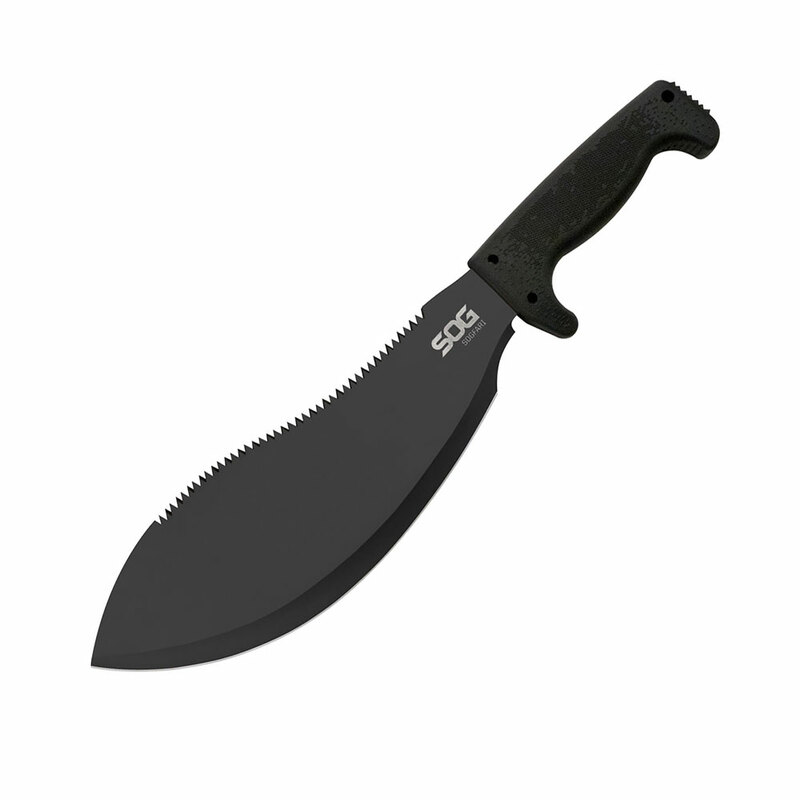 Based on the classic SOG Bowie that founded our company, but morphed into a top-notch work knife with the use of technology, modern materials, and a little class thrown in for good measure. For starters all the metal parts are satin finished stainless steel, polished to a mirror shine, it looks incredible! 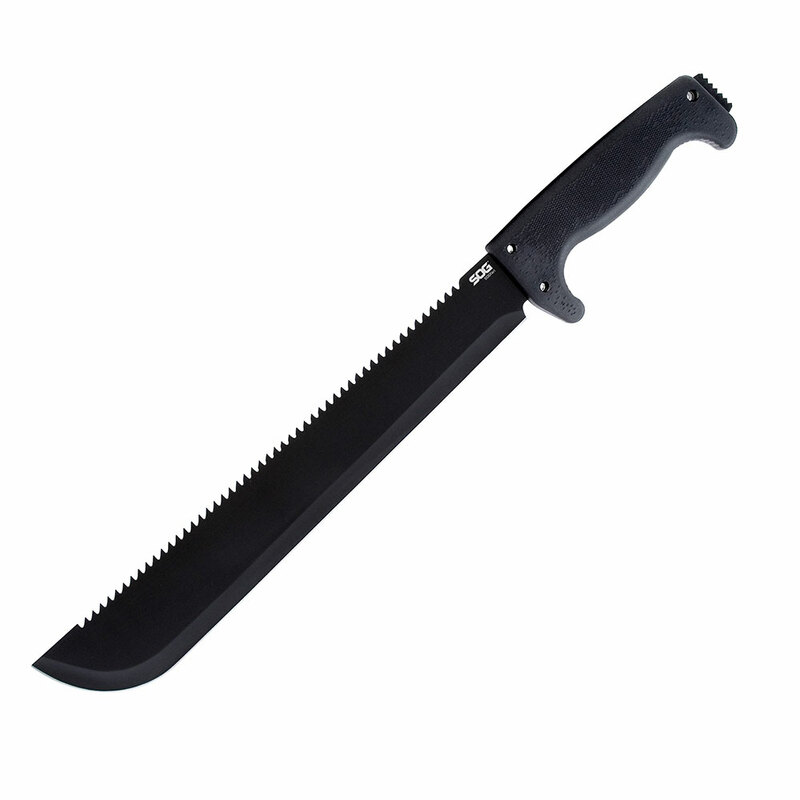 Offset against this, the tactile Kraton rubber handle nods to tradition with the use of interspaced white washers. 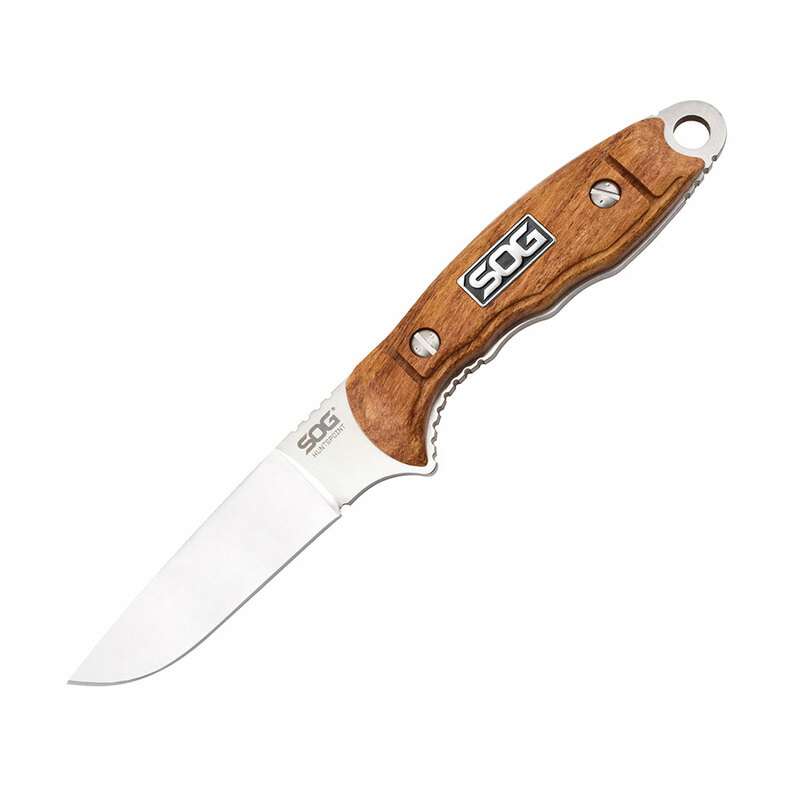 This has never been accomplished before and provides an unmistakable SOG look. 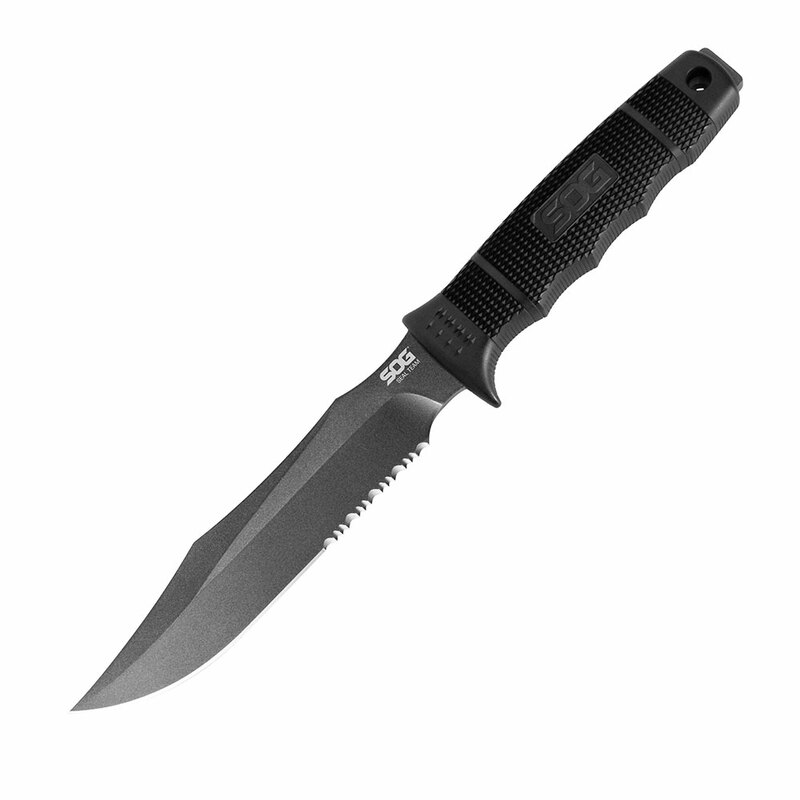 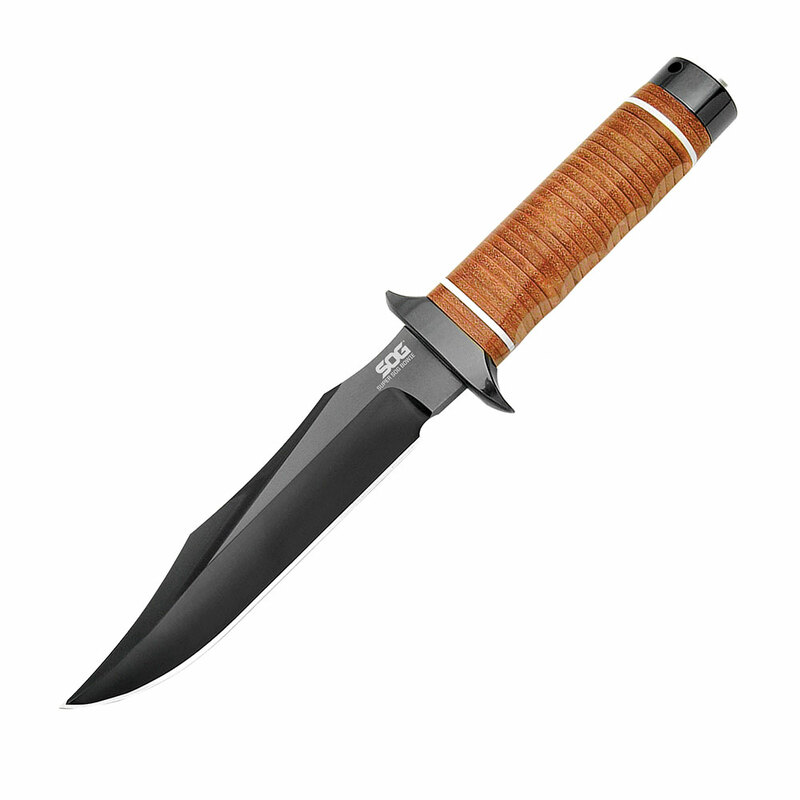 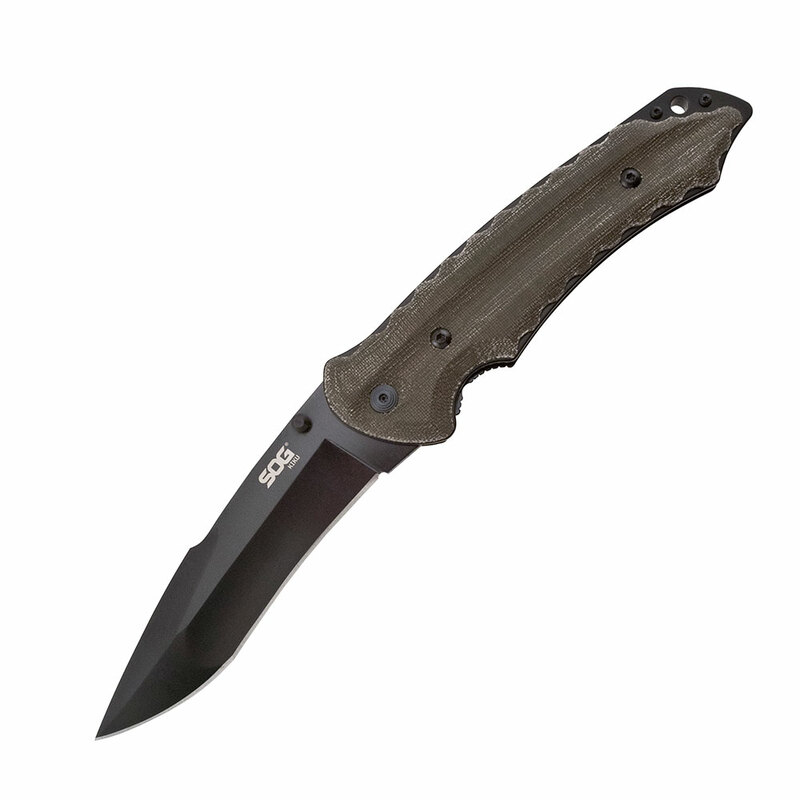 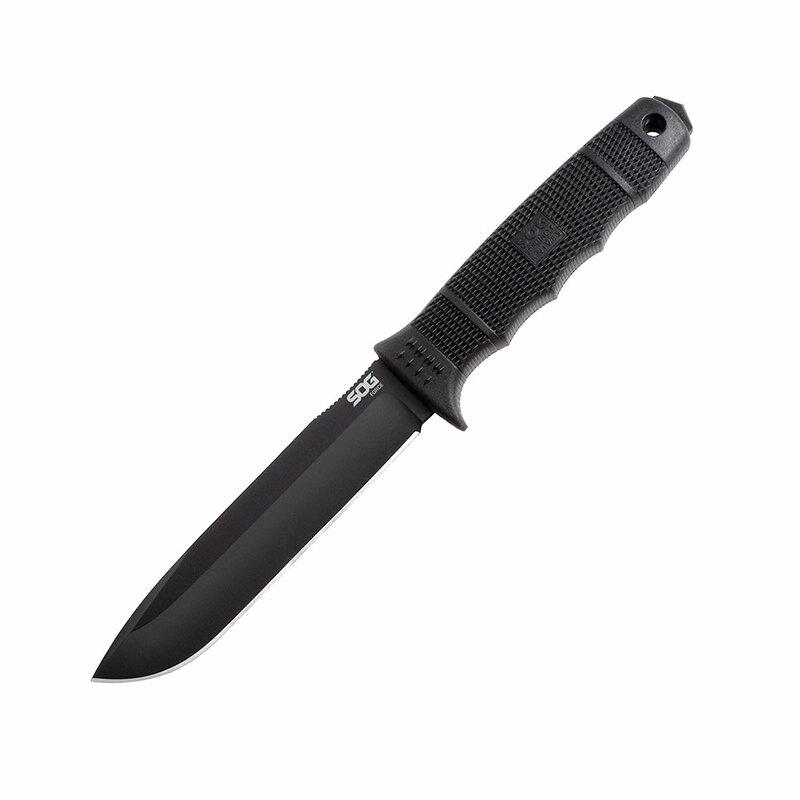 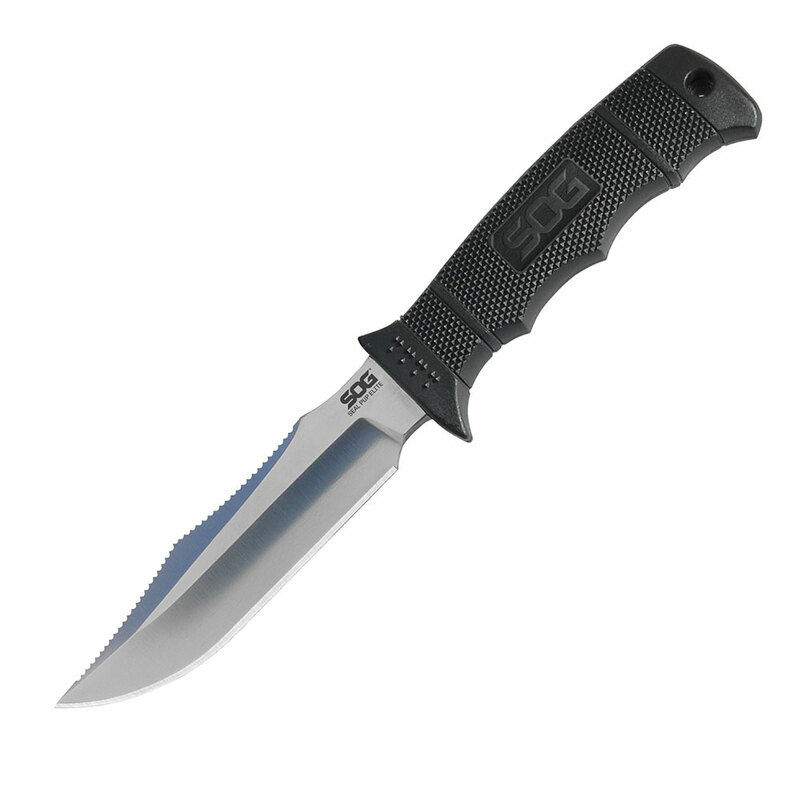 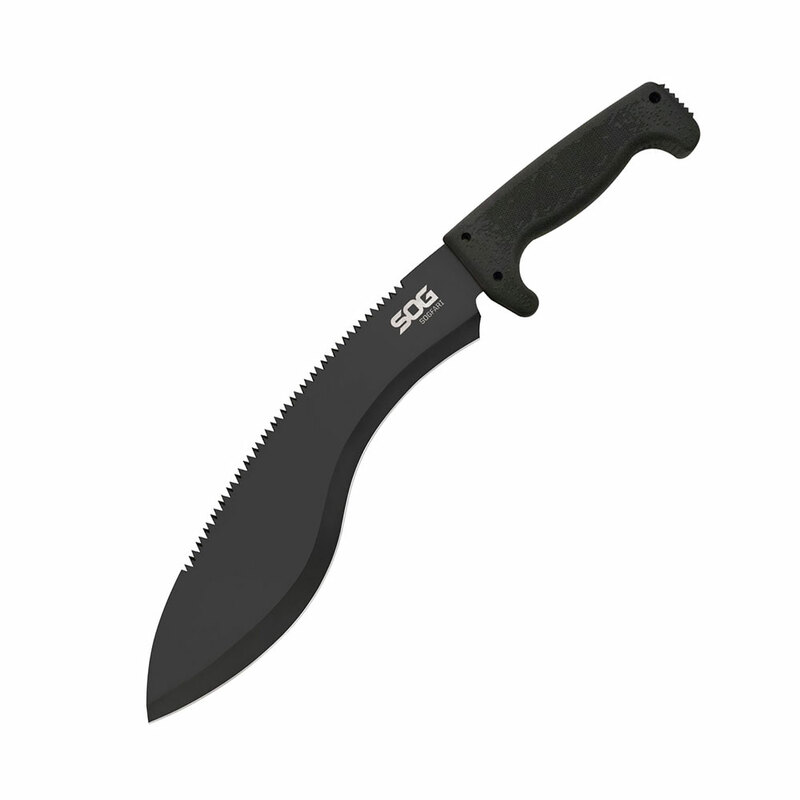 The thick (.240-inches) AUS 8 blade is topped off with a faceted tip that is a SOG signature and completes the total package.